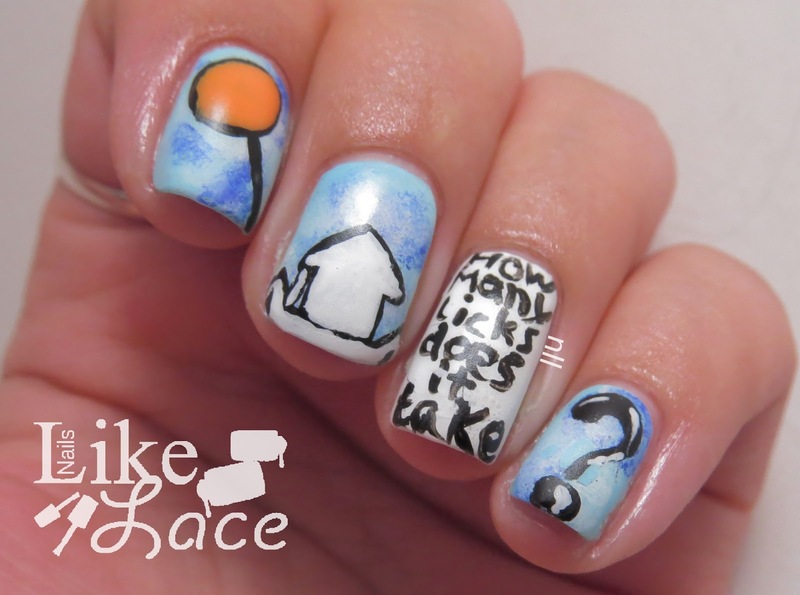 NailsLikeLace: How many licks does it take to get to the Tootsie Roll center of a Tootsie Pop? 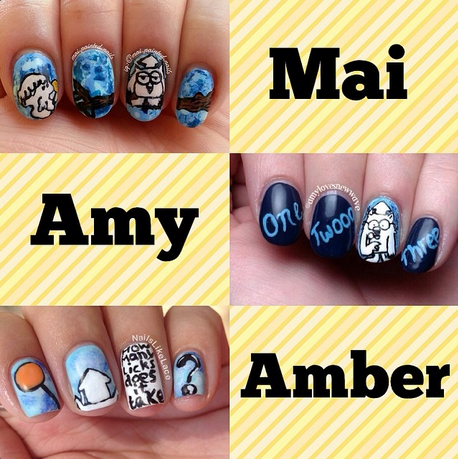 A week or so ago, I did another nail collab with Amy and Mai on Instagram. 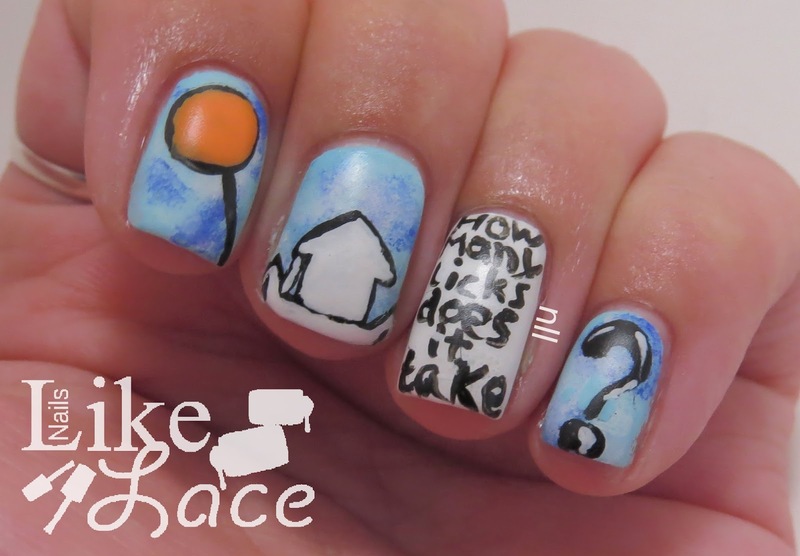 This time, we did manis inspired by the classic Tootsie Roll Pop commercial in which Mr. Owl is asked how many licks it takes to get to the center of said lollipop. I started out with a sponged base of Sally Hansen In Prompt Blue, Blue-Away, and white. My lollipop is Zoya Arizona. I decided to keep my version quick and simple!